Reigning Champions Villanova will face a stiff test tonight in chilly Windy City. Written by College Basketball Expert Betting Analyst Al Presto. Charliessports.com produces it for Basketball Betting. Daily NCAA Basketball Point Spread Picks are the best in the industry and will continue through the March Madness Finals in April of 2019. The (16-4) SU, (13-7) ATS #14 Villanova Wildcats haven’t lost since December 22, 2018, and after their 80-52 victory over Seton Hall as 8 point home FAVORITES ATS hope to make it nine straight tonight. The Wildcats are 7-2 AGAINST THE SPREAD during the current streak in which they’ve re gained supremacy in the Big East after a rocky start to the season. Villanova is 2-5 AGAINST THE SPREAD their last seven on Wednesday’s. The road team is 8-2 ATS the last ten between the teams. OVER bettors have made a profit in 6 of the previous ten times, they’ve met. The Wildcats are 7-3 AGAINST THE POINT SPREAD their last ten overall. The (11-8) SU, (10-8-1) ATS DePaul Blue Demons return home after a three-game road trip going 1-2 SU and 2-1 ATS, the finale a 70-67 loss to Providence as 6 point road UNDERDOGS ATS. DePaul hopes to cool down the red hot Wildcats as -60-degree wind chill factor outside could be the coldest day many Chicagoans have ever seen. The Blue Demons are 4′ games behind Wednesday’s opponent in the Big East Conference standings. DePaul is 4-0 ATS their last four following an SU loss. The OVER is 11-3-1 the last fifteen times the teams have met. The Blue Demons are 1-4 ATS their last five at home. 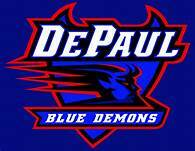 UNDER bettors have made profits in 8 of DePaul last twelve vs. 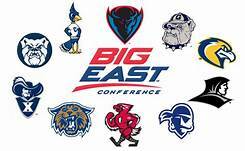 The Big East. Wednesday’s game is 8:00 PM EST at Wintrust Arena in Chicago, Illinois. The CBSSN will be broadcasting. The Betting Line has DePaul as 6′ point home UNDERDOGS ATS. The TOTAL is 144′ points for Wednesday’s contest. Villanova Wildcats head basketball coach has led the team to two NCAA Titles in the past three seasons the equation in all were the leadership of point guard Jalen Brunson who’s now in the NBA. After early season losses to city rival Pennsylvania of the Ivy League and Furman, the Wildcats had to do some soul searching, but they still have their doubters. Wright decided seniors Phil Booth (18.7) ppg and Eric Paschall (16.9) would be the focal point of an offense that produces (76.3) points per contest, 107th in the nation. Villanova is an exception rebounding team (38.4) RPG which is 52nd in College Basketball with Paschall and Dhamir Cosby-Roundtree grabbing (6.5) boards per contest. The (34.9%) shooting from beyond the three-point line is 134th in College Basketball but accounts for (40.2) points per game. The coaching staff understands the dangers of falling in love with the three-point shot and they’ll adjust as we approach tournament time, for now; Wright’s letting the flow of the game dictate how he coaches which show the genius part. Villanova and Marquette are the only Big East teams with above .500 record in conference action, and Wright wants to keep it that way. 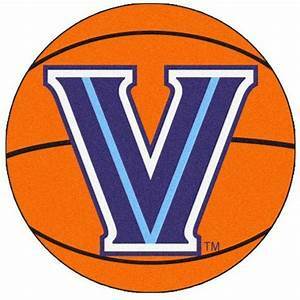 The winning Sports Handicappers at Charliessports.com is 2-1 when going on or against Villanova in the 2018-19 season. Bovada.Lv list Villanova at +155 to win the 2019 Big East Conference Tournament. Expectations for basketball in the Chicago area are always high but the past couple of decade hasn’t been friendly to any of the major colleges in the area, except last season when Loyola of Chicago went to the Final Four. Head Coach Dave Leitao watched his team battle the Wildcats to a standstill in a January 2nd meeting. However, missed a three-point shot which allowed Villanova walk away with a 73-68 victory in Philadelphia. Senior guard Max Strus (17.4) ppg is the teams leading scorer but Femi Olujobi (17.6) ppg the last seven games has given the Blue Demons a threat in the post. Orlando, Florida native Paul Reed is also playing at an elite level; he’s averaging (18.2 ppg, 10.2 RPG) on (59%) shooting from the field. Except for a double-digit home loss to Butler on January 16th the Blue Demons have played every Big East game competitively. They’ve taken down an excellent St.John’s team and swept Seton Hall; they can improve their NCAA Tournament resume’ with an upset tonight which is possible. They’re right on the cusp of being an outstanding team. A key for tonight is for Reed and Olujobi to continue to ascend while Straus takes the majority of shots. This Sports Handicapper has a free play on this game tonight. Bovada.Lv list DePaul at +1,800 to win the 2019 Big East Championship. Free Pick. DePaul+7 Points. Also Play Online Poker Plus Other Casino Games and enter some of the best Tournaments on the World Wide Web.